PALMER — Palmer High football standout and one-time NFL hopeful Junior Aumavae came home Friday to add some muscle to his family's increasingly desperate search for his 30-year-old brother. Keith Ben Aumavae, described by relatives as having multiple personality disorder and schizophrenia, hasn't been seen since Oct. 19. Alaska State Troopers consider him a missing person. But his family members say something is wrong. Aumavae is one of 13 brothers and sisters. Their brother is more than missing, they say. The iPad he carried everywhere — computer tablet in one hand, charger in the other — was left at his apartment near Trunk Road off the Palmer-Wasilla Highway. 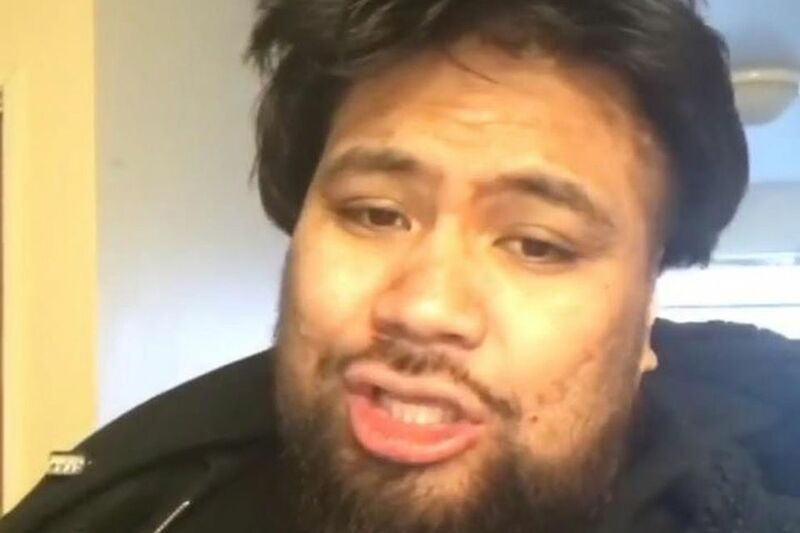 Aumavae, notorious for pulling money out of the ATM as soon as his disability check came in, has apparently stopped using his bank account, according to Luke Smith, a Palmer private investigator working with the family. His car — a silver 2001 Chrysler Sebring, license plate KAG300 — is gone. Troopers Capt. Tony April said an investigation is ongoing. Troopers have talked to family and friends multiple times and gone to places Keith is known to go. "We are trying to locate Mr. Aumavae," April, commander of the troopers' Palmer post, wrote in an email. But the family wants troopers to shift focus from considering Aumavae missing to investigating whether something criminal happened. Troopers initially denied the family's request to issue an alert notifying the public that a vulnerable adult is missing and may be in serious danger, Junior Aumavae said in an interview Friday. A Silver Alert was issued this week, he said, after he did an interview with New York media that drew attention in Alaska. "For us, that was kind of like — what is going on here?" he said, sitting in Smith's office Friday morning. "It's just very frustrating that we have to go through this just to get the help we need." Troopers spokeswoman Megan Peters said the alert was issued after other steps for reaching the public had been exhausted and to "hopefully bring more attention to the fact that this man is still missing and we are concerned for his well-being." 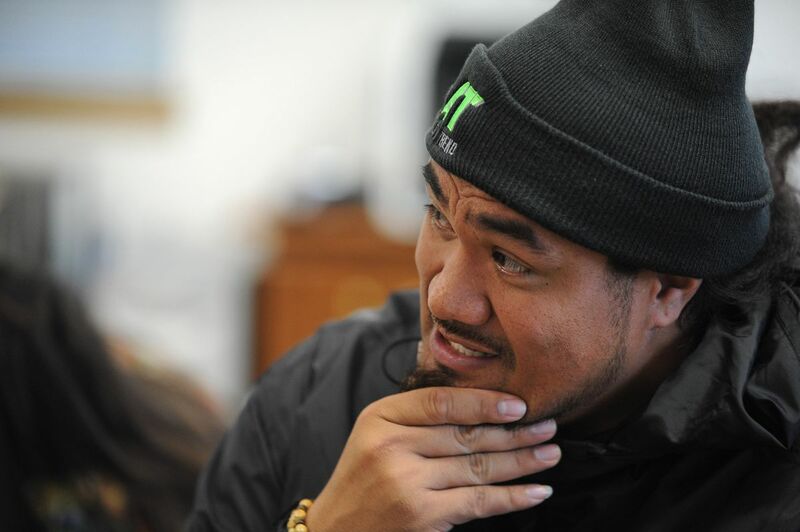 Junior Aumavae, a 2003 Palmer grad who was briefly under contract with the Dallas Cowboys in 2010 and the New York Jets in 2013 but never made it into a regular-season game for either team, flew in Thursday from Indianapolis, where he founded a youth athletic and life skills program last year. Keith is a familiar character to some around Palmer: 380 pounds but just 5-foot-8, alternately sweet and shouting rants or talking to himself. His disease could turn dangerous. He was arrested for assault in 2013 and 2014. A judge ordered a mental health evaluation following the 2014 arrest, according to a judgment in the case. He hit an employee at Palmer's Fred Meyer and yelled at customers before a group pinned him as he shouted, "I am God, they murdered my children!" according to a sworn affidavit filed with misdemeanor charges. Keith played football at Palmer, too. But his mental disorders surfaced in his mid-20s and people — including police — sometimes don't know how to deal with him, his brother said. Until he went missing, Keith posted constantly on Facebook to release some of the pent-up emotional energy, his brother said. He lived on his own in the apartment, between Palmer and Wasilla. The last person to see him was his old Palmer football coach, who ran into Keith at the Fred Meyer store on Oct. 19. "He said it was the best he'd seen Keith, as far as talking to him," Junior said. The same day, he was spotted ranting and talking to himself. Daily searches are still being conducted by family members, friends and volunteers from the Samoan Church in Anchorage, a Seventh-day Adventist Church. Anyone with information about Keith Aumavae can call an anonymous tip line at 907-290-5668. Junior said he's also asked an NFL security services investigator to travel to Alaska on Monday to help. Lacking power of attorney, however, family members have few clues to go on as to what happened to Keith. They can't officially request any records and can't get into the apartment, said Smith, who is working pro bono. The iPad left behind, the apparent lack of bank withdrawals — it doesn't add up, he said. "I think there's enough to just start an investigation to see if something criminal has occurred."